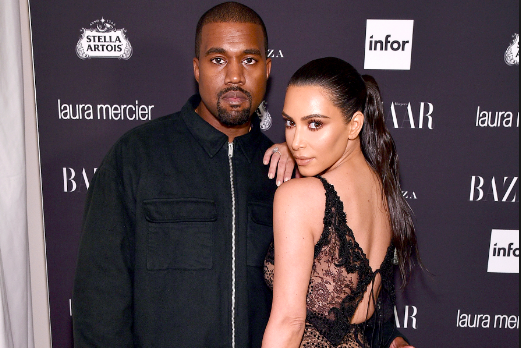 It’s official, after the world has waited in bated breath for 3 DAYS NOW (guys, don’t worry I am joking… sort of), Kim Kardashian and Kanye West have revealed the name of their baby girl. And I must admit, I am a wee bit disappointed it isn’t ‘Wild West’ as that would be flippin’ hilar and I kinda dig it. 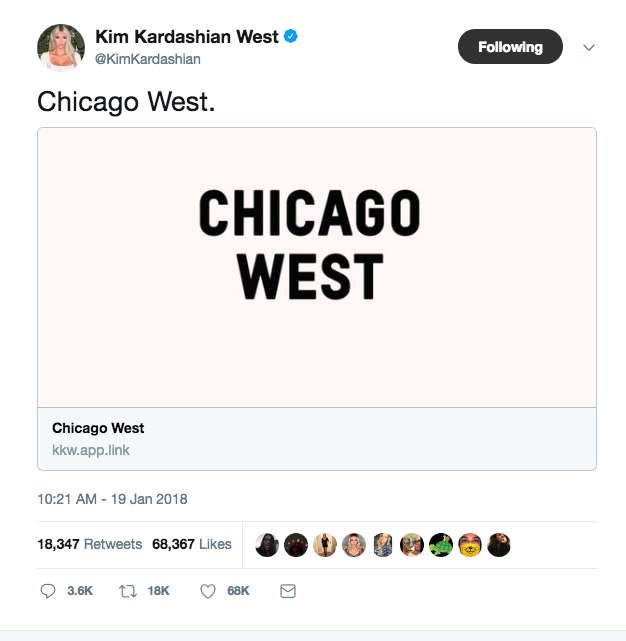 The third child of Kimye has been called Chicago West. It’s also Kayne’s home-town and I wonder if he knows Kev and Vee? 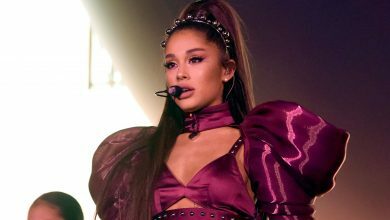 Confirming the news on Twitter and her website, Kim announced that she’d be known as ‘Chi’ (pronounced ‘shy’). And that’s your Saturday brunch convo sorted folks. You’re welcome.